Doctor Ben Carson emerged in the 2016 campaign as a favorite among a number of grassroots conservatives. He also quickly endorsed Donald Trump once he dropped out of the race after Super Tuesday. And now the President-elect made a major announcement about Carson’s future. Shortly after his victory, the President-elect began to try and find a position in his administration for Carson. Carson was a loyal supporter who developed his own following during the campaign due to his incredible life story, easy-going demeanor, and his honesty. While at first Carson was resistant to the President-elect’s overtures, he eventually agreed to become Secretary of Housing and Urban Development in the Trump administration. “Carson, who challenged Trump during the Republican primary, is the first African-American selected to serve in the president-elect’s Cabinet. The retired neurosurgeon has little experience in housing or management, but he has weighed in on the issue. In a 2015 op-ed for The Washington Times, he labeled a new fair housing rule a “social-engineering” scheme. HUD, with an annual budget of nearly $50 billion, is a sprawling agency that oversees most of the nation’s affordable housing programs and manages a $1.6 trillion mortgage portfolio. Its mission is dedicated to housing in the broadest sense–the agency also plays a role in education, transportation and community redevelopment across the country. Conservatives blasted the Housing and Urban Development agency’s scheme to zone so-called “affordable housing” into upper income areas as a war to destroy the suburbs. “The AFFH represents the worst form of social transformation without representation and is the capstone of Obama’s effort to fundamentally transform America. It is an ad hoc federal gerrymander to force local governments to impose low-income housing in areas HUD targets for social engineering while funneling funds to left-wing community organizing groups to transfer people from the inner city into suburban neighborhoods. It represents one of the worst violations of federalism, property rights and the true ideals of equal opportunity expressed in the Declaration of Independence. Every American has the right and opportunity to purchase property, housing or rentals in any part of the country. However, the federal government has no constitutional power to mandate the breakdown of natural settlement and development for different neighborhoods and counties in order to enrich their favored NGOs. Under the AFFH, HUD unilaterally decides that not enough individuals from a given race or ethnicity live in a particular jurisdiction. Then, in order to leverage the local government to “identify significant determinants that influence or contribute to those issues, and set forth fair housing priorities and goals to address fair housing issues and determinants,” HUD threatens to withhold community development block grants. 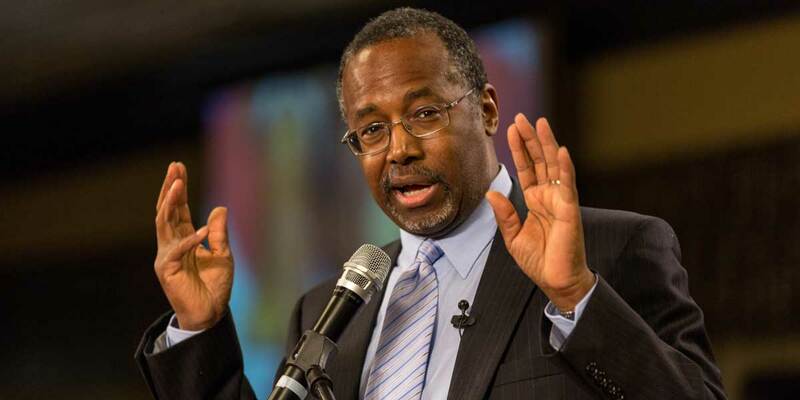 Conservatives will now be counting on Dr. Carson to unwind this attack on America’s suburbs. Previous ArticleIs Donald Trump About To Deliver The Final Nail In ObamaCare's Coffin? Dr. Carson has integrity, non-judgmental, passion, devotion, a listener, leadership skills, sincerity, honesty and will try and the best in any position. Many have said that he lacks experience in the HUD department but I think he will overcome his lack of experience through all the above qualities I mentioned ( and I am sure more) because he has the passion and love for humanity to help those in need as well as growing up in those same conditions he will now be in charge to help. I wish him the best and may God bless him to do an excellent job in this new endeavor. Congratulations, Dr. Carson. You will do great at anything yo put your mind to.